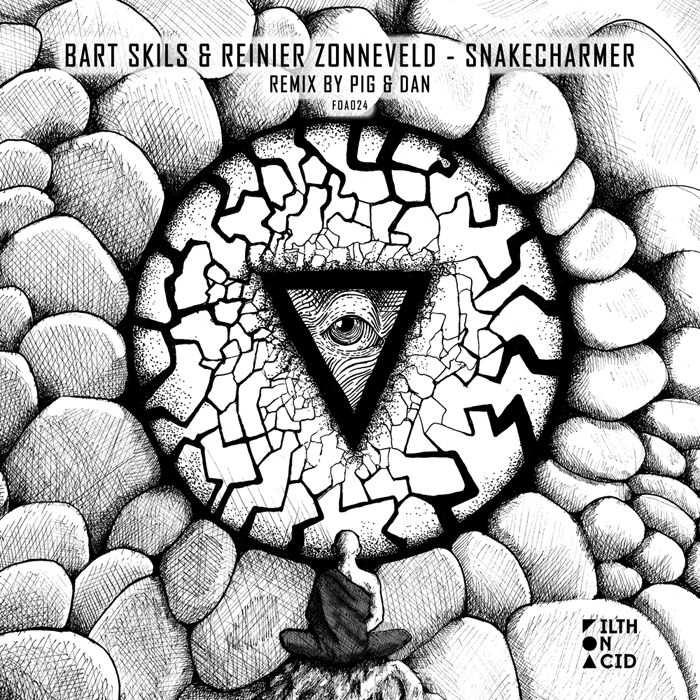 Reinier Zonneveld has invited fellow Dutch producer Bart Skils for a hefty collaboration on his Filth On Acid imprint. This 24th release is probably one of the more spectacular and distinctive EPs from the FOA catalogue and is definitely a promise of more great things to come. The package contains the original from Skils and Zonneveld, which is perfect to kickstart your spring and a Pig&Dan treatment that brings some more eastern flavor into the mix. Check out the tracks below! Observant listeners will have noticed already that “Snakecharmer” shares some similarities with Bart’s “Ocean Drive” and “Bells Of The Revolution” from earlier this year. The structure of the track is fairly straightforward and consists of an immersive pad and a rhythmic stab that create a light backdrop for the charming melody layer that kicks in around the 1:45 mark. Overall, the track has quite an entrancing and meditative feel to it and is perfect to spruce up a gloomy spring day. Pig&Dan have completely transformed the original production, leaving no familiar traces except for the eastern atmosphere, which they’ve built upon with mournful instrumental musings and completely made their own. The result of their efforts is a slowed-down, more immersive experience that truly captures the spirit of the Middle East. The “Snakecharmer” EP will be out this Friday on Filth On Acid.